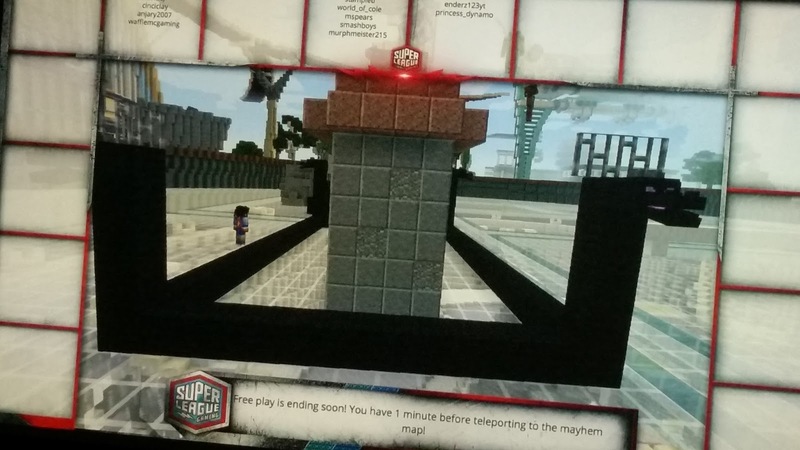 How our Minecraft experience go? 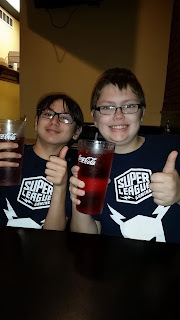 My son (blue shirt) with his good friend - Team DinoSquad! 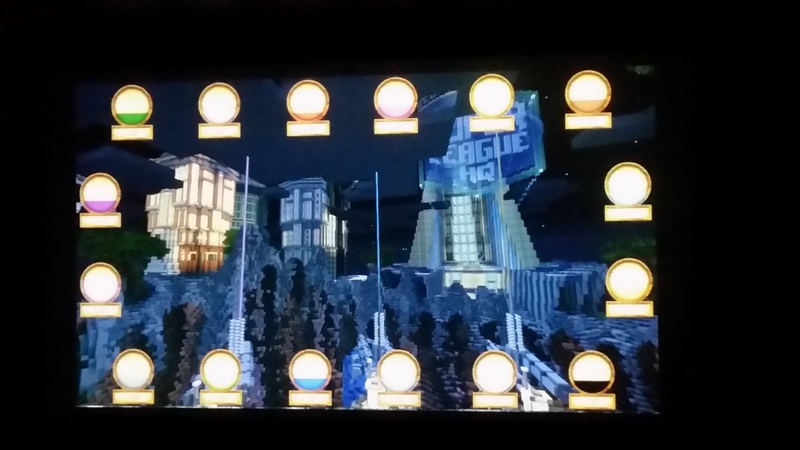 Our Super League Gaming Minecraft experience took place over four weeks - one hour on Saturday mornings for a total of 4 hours gaming. We got their really early and picked out our team shirts and the boys received their official Minecraft gaming badges. In spite of a few technical issues with my son's laptop, they had a good time at Minecraft week #1. The second week was a whole lot better! 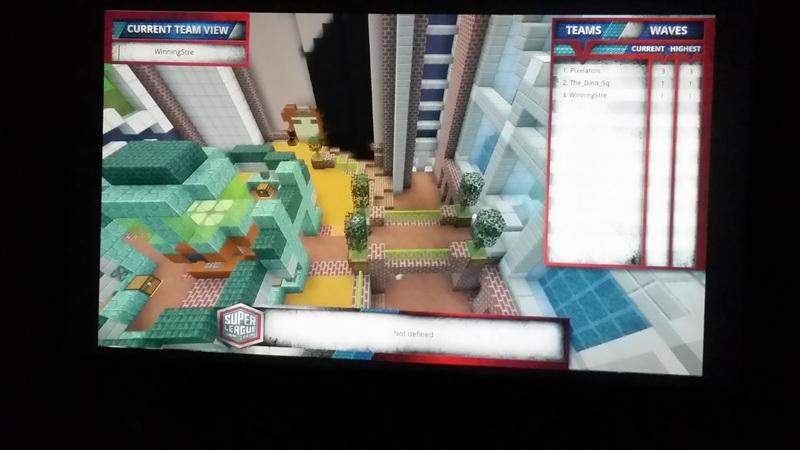 With the laptop issues resolved, our team of two had a great time and came in 2nd against a team with eight players! Here are a few of the shots I took. Now it's the third week and the boys are so excited and ready to play. 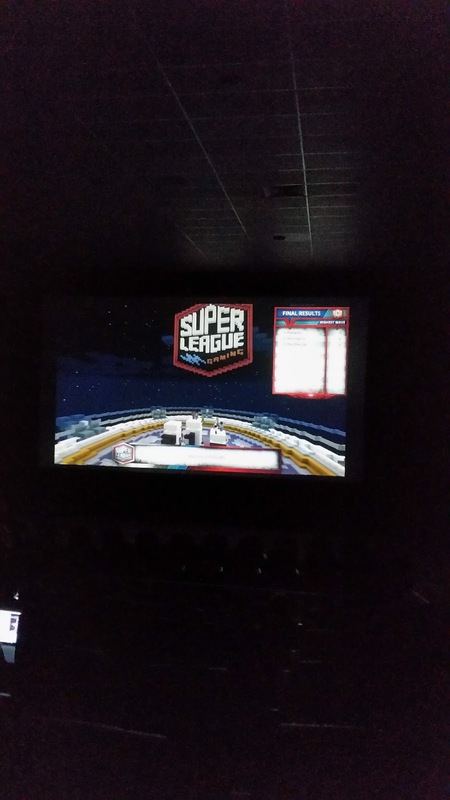 So we get there and we are automatically ushered into the theater and the boys get set up. Everyone has brought their chargers and is pumped up for today's competition. It is now the last day! 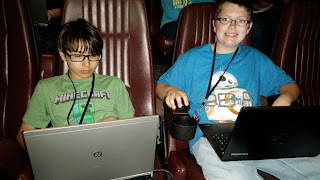 The boys loved their Minecraft experience! Here they are at their victory dinner! They came in second place from about 7 groups! 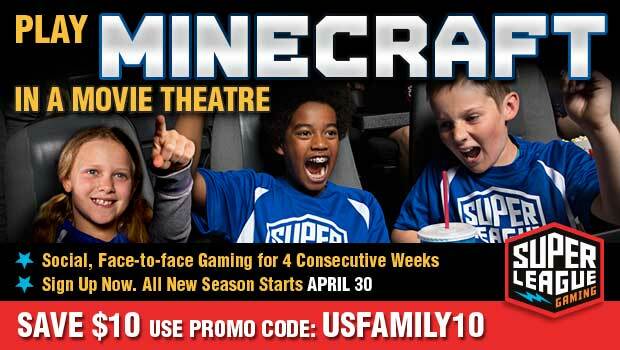 Overall, a highly recommended experience for your Minecraft gamers! A big personal Thank You to USFamilyGuide.com and Super League Gaming for the opportunity to play and review this awesome experience! Sounds like fun and the offer of splitting a college scholarship is wonderful! I read about this at our local theater and thought huh... how will that work? Looks like a ton of fun for the minecraft addict! Very interesting and sounds super fun!! that sounds like something my kids would love! My grandkids would love this...all 14 of them! I previously read about this. Enjoyed your detailed review describing events as they unfolded. 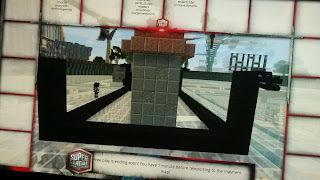 Minecraft has been popular and will continue to be with such clever events and ideas. Thanks for sharing! Very interesting and lots of fun!! What a fun experience for your boys! Congrats to them for coming in 2nd place! So cool! 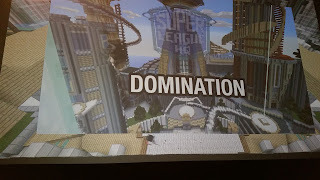 My son loves Minecraft, this has been so informative.